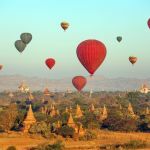 This Myanmar vacation takes you on the road less traveled to lands where hidden jewels and secret treasures await. In the south, a bustling cultural center, beautiful land and seascapes, and colonial heritage await. 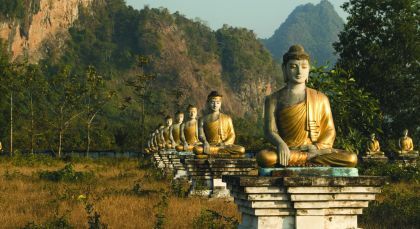 From incredible limestone formations to caves brimming with statues of the Buddha, leisurely treks, bustling towns, and a golden rock balanced by a hair – there is much to discover. 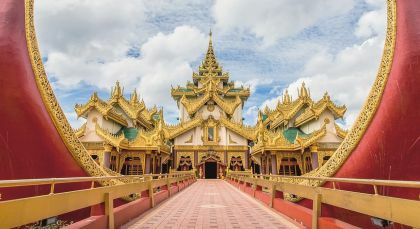 Soothe your soul on this private tour of Myanmar with visits to impressive temple complexes and idyllic landscapes. Check out from the hotel and return by truck to the base station, where you will find your driver. Return to Yangon via Bago (160 km, 5 hrs). Sittwe is nestled within an island at the confluence of three rivers that flow into the Bay of Bengal – Kaladan, Mayu, and Lay Mro. 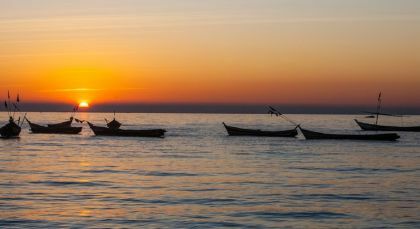 From charming colonial era buildings to beautiful sunsets and bustling local fish markets, Sittwe has a corner for every curious explorer. Begin your day tour of Sittwe from the heart of the city – the bustling Central and Rice Markets offer fascinating glimpses into Burmese daily life. Visit the old clock tower and the Rakhine State Cultural Museum to see an interesting array of coins, figurines, musical instruments and other exhibits, before you visit the Shwe Zedi Kyaung monastery which was founded in 1903. At the Fruit Bat Trees, you’ll see hundreds of large Flying foxes hanging upside down and battling stray crows occasionally. Round off your day with a visit to the Viewpoint, to see the sun set over the Bay of Bengal, before returning to your hotel. 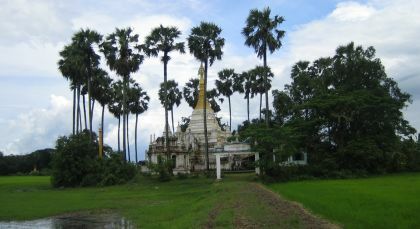 Enjoy a lively drive from Sittwe to Mrauk U. With several interesting sights on the way, the improved conditions of the road makes this a pleasant four and a half hour journey. On the way, stop at Ponnagyun town to witness the local lifestyle and see U Reik Taw, an ancient pagoda that enshrines the Buddha’s skull relic. Continue northwards through the Arakan mountains and past picturesque ethnic villages until you cross the Gissapanadi Bridge and reach Kyauk Taw – an ancient seat of Rakhine culture and Buddhism. Continue onwards to the historic Mahamuni and Vesali Temples, before you reach Mrauk U.
Mrauk U, once the capital of the old and powerful Rakhine dynasty, boasts of a glorious history of over 3 years. Mrauk U was of the most prosperous cities in Asia once upon a time and, until the Burmese occupation in 1784, the kingdom maintained trade relations with several nations. 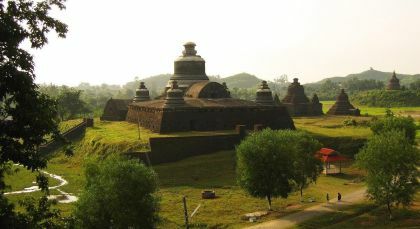 Start your tour of Mrauk U at the Sittaung Paya (shrine of 80,000 images), which was built almost 500 years ago. Travel onwards to the Andaw Paya (Tooth Shrine), which reportedly contains a tooth relic of the Buddha, and the impressive Rattanapon Paya. End your day with a visit to Haridaung, which is located on a hilltop and offers a panoramic view of the town at dusk. 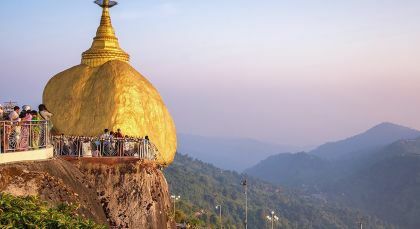 Start your day early by climbing the Shwe Mya Hill to see a stunning sunrise over the valley before continuing onward to the impressive Htukkanthein Temple. The Lemyethna Paya is the oldest temple from Mrauk U’s golden age and was built to bring prosperity to the nation. Next on your list is a visit to the L’amitié Art Gallery, followed by lunch. Resume your private tour at the arresting Mahabodhi Shwegu and, if you have time, visit the Archeological Museum as well. Soak in some rural charm on your way to Koe-thaung Paya – the largest in Mrauk U. Conclude your sightseeing at the beautiful Laksaykan Lake.